A group from Virginia organized a bus to the state capitol to oppose anti-abortion legislation after being inspired by a previous Words of Choice show. What issues are being debated in your state legislature? Organize a bus to your state capitol. Ask your state representative to meet informally on the issues you care about. Throw a letter-writing party at your organization, house, at a café, or in the park to write personal letters to your elected officials and Supreme Court justices telling them why you and your friends support reproductive justice. Support an abortion fund that helps low-income women in your community. The National Network of Abortion Funds provides a directory of members, as well as information on starting your own fund. So many ways to tell your story. Check out this blog post at Words of Choice, and see what is the best storytelling fit for you. And that’s just the beginning…. Talk about pregnancy and abortion with your friends and family. So many great films listed in the resource section below. 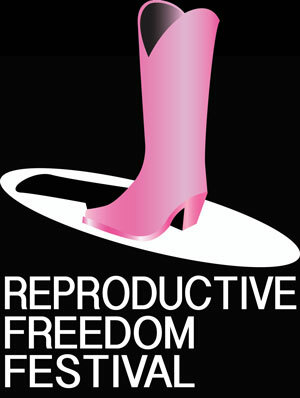 Write an article or op-ed about why you support reproductive freedom friendly legislation and submit it to the editors of your local and school newspapers, your professional or community organization’s newsletters, and your favorite blogs and on-line news sites. Support the work of other organizations. The National Latina Institute for Reproductive Health has a great resource list but expand your search, particularly to include smaller, local organizations. Research and visit your local clinics and health centers. Speak with clinic volunteer coordinators to find out more about what they do. What is their perspective on pregnancy, contraception and abortion? How aware are they to the needs of the different backgrounds of people in your community? Stay abreast of current events surrounding reproductive issues, on the local, state, federal, and international level. There is a lot going on right now that you should stay aware of. Don’t focus solely on federal issues, state and local legislation will more greatly impact your day to day life. All the information on this webpage can be found here. Get Free Activist Cards here or here. Material on this page prepared by Rachel Goddard.